It was an absolute joy working with Nakeisha & Nathaniel on their July 23rd 2010 wedding. Just Say Yes Events was brought on to create two massive 16 feet candy buffets and the bridal party flowers. 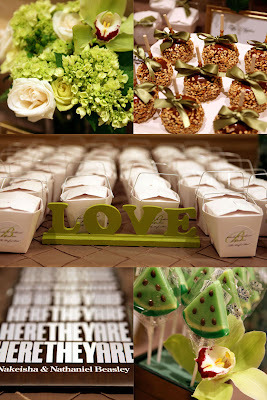 The color scheme for the wedding was a kiwi green accented with brown which is very in this season. 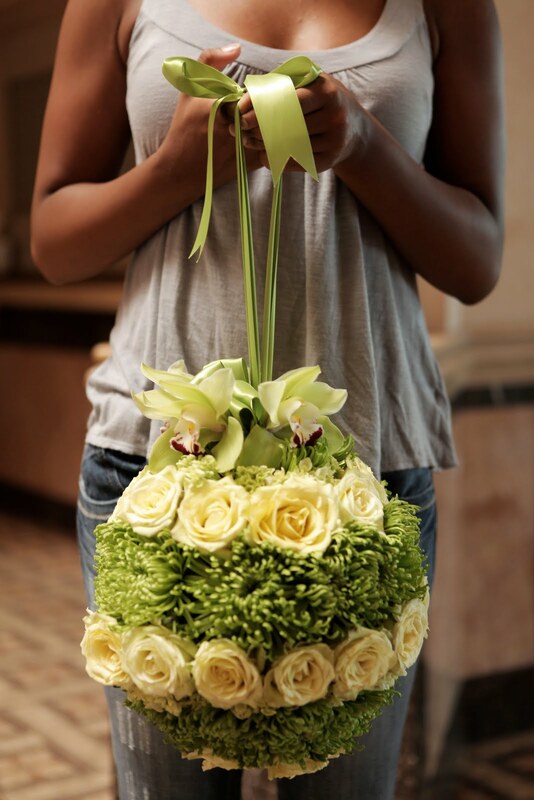 Nakeisha the bride requested a flower ball also known as pave flower pomander and we had fun with it. We decided to use a few different flowers for some interest to the eye and green satin co-ordinating ribbon. Here are a few images of their special day! 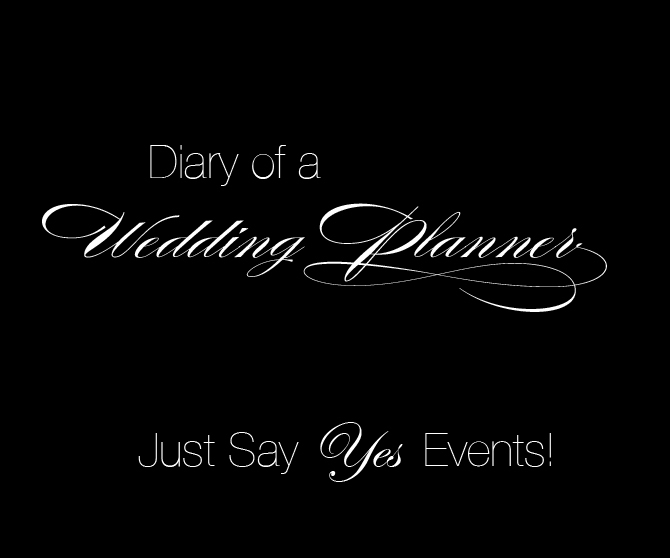 Creative Direction: Barbara Mouradian, Just Say Yes Events! Photo By: Just Say Yes Events! 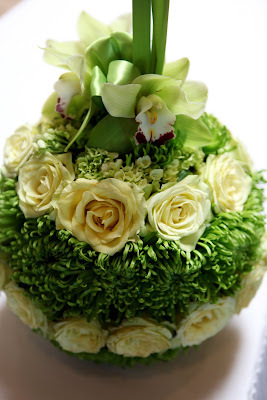 This was a pave pomander requested by the bride as her bridal bouquet. This is bar far to date one of our favorite bridal bouquets and truly unique. To stay within the clients budget we opted to use mums and baby green Hydrangea in between roses with an accent of orchids. Please keep this in mind when selecting your wedding floral to keep costs down. Now a days there are so many fantastic florals that you can achieve any look by just swapping out your floral for something more affordable but similar in look and style. This image so you have an idea of just of massive this pomander was. It was definitely heavy but fabulous and most importantly the bride loved it! There is no other wedding day shoe! Bottles.... Bottles & More Bottles.